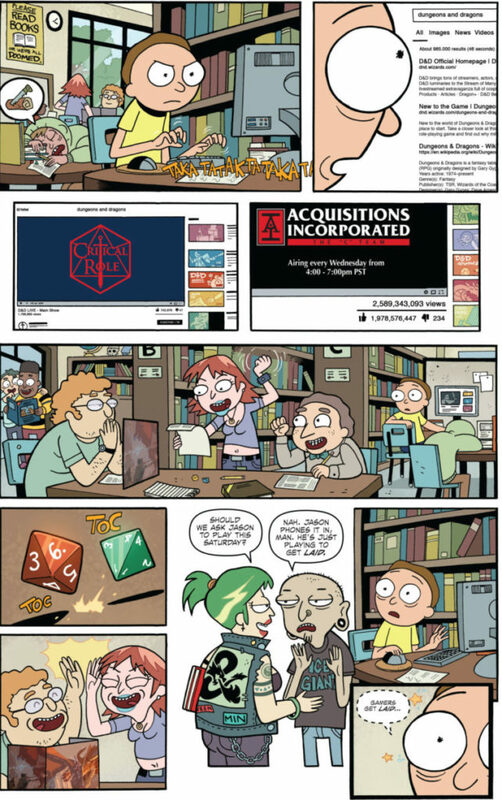 Rick and Morty vs Dungeons and Dragons is the latest hopping on what appears to be the wave of a fiery resurgence and growing movement in tabletop gaming. 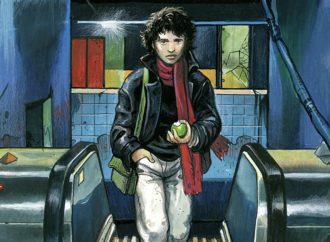 The comic is a four-issue miniseries that has been recently compiled and published into a single graphic novel compendium. The first issue was published on August 29, 2018. At Morty’s school, everyone and anyone has been playing Dungeons & Dragons. 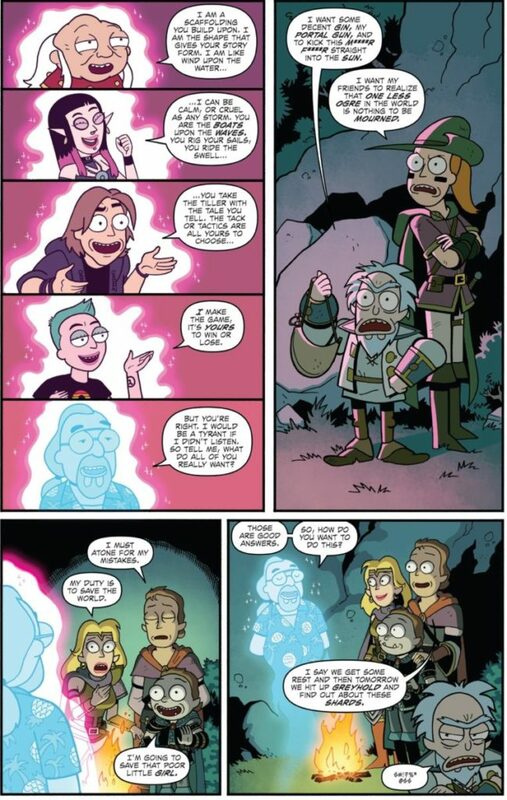 He overhears a group fawning over the McElroy brothers’ shenanigans in The Adventure Zone and sits through vivid descriptions of violent battle by a look-alike of Erin McGathy’s character in HarmonQuest on the school bus. After doing some research in the library, Morty discovers that the big, wide world of D&D is as popular as implied, leading him to conclude, awestruck, that, “Gamers get laid…”. Naturally, Morty uses this newfound discovery to figure out how to become as cool as everyone else. Turning towards his mad scientist of a grandfather in order to impress a girl at a games shop, Rick’s adrenaline kicks into high gear as his mind floods with past experiences playing the game. Rick ends up cranking out a full-blown, fantasy game simulation that recreates a more recent reiteration of Dungeons & Dragons to try out with his grandson. And as per Rick and Morty fashion, everything slowly falls into chaos. 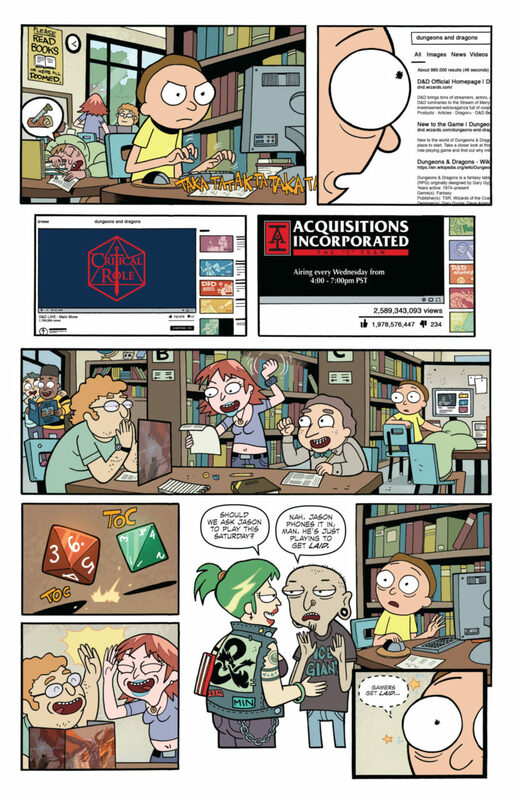 Morty’s initial, unsavory experience manages to convey how a newcomer would be overwhelmed with something like Dungeons & Dragons. In addition, his clashes with Rick illustrate the historical issues of exclusivity that are still pervasive in the gaming world and the elitism it can fester. When the two first start up the simulation, Morty points out and wonders why they haven’t encountered any female NPCs yet. 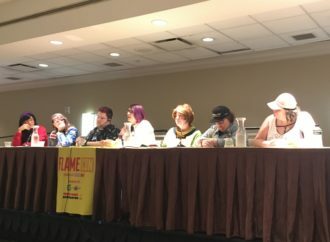 Rick comments that, “This is a classic D&D setting” and that women would not appear until “next issue”. Later on, the rest of the Smith family joins in on the action. Summer, Morty’s older sister, comments on the impractical armor that is generated by default for her Ranger character in the simulation. Clearly meant to titillate and not to protect, she changes it immediately. Now with the rest of the family on board, Rick’s usual selfishness is challenged. 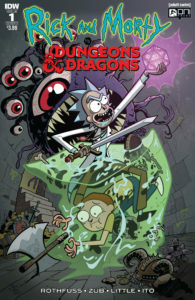 Ultimately, Rick simply wanted to use Morty’s predicament as a scapegoat to play D&D again for his own self-indulgence. 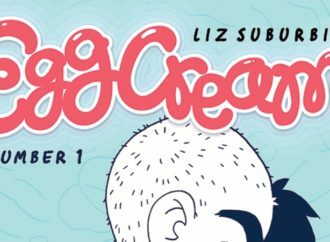 Transitioning from the usual, more comedic shenanigans that would atone for Rick and Morty, the comic also tonally shifts in a way that accurately illustrates the morally gripping dramas players can actually face in campaigns in a tongue-in-cheek fashion. 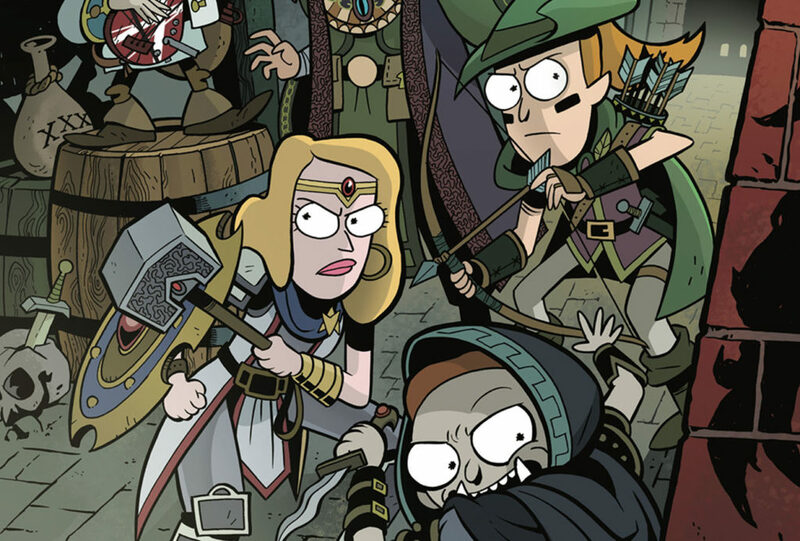 Rick and Morty vs Dungeons & Dragons is a miniseries that was certainly conceived with heart. Even right down to its packaging, this graphic novel compendium includes compiled art of the issues’ different variant covers and sample character sheets of the Rick and Morty cast that would be actually usable to play. 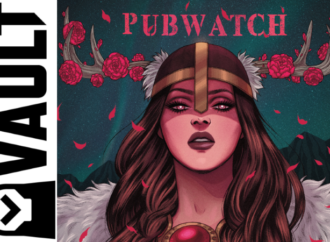 The series is penned collaboratively between Patrick Rothfuss and Jim Zub. Rothfuss is most known for being the bestselling author of The Kingkiller Chronicle book series. 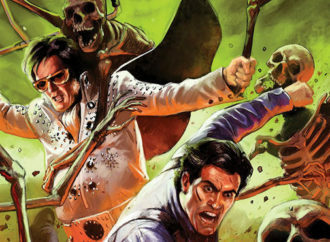 Zub has written and illustrated for numerous clients from Marvel to DC Comics. 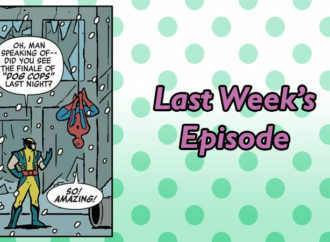 Troy Little solidly adapts the show’s house style, while providing a softer and more organic interpretation of its characters that is fitting for the print medium. Readers who may only be familiar with one property over the other may encourage them to open their doors to explore something new. Fans of Rick and Morty may be surprised to find themselves crafting a character sheet. Dungeons & Dragons players may try to watch the eponymous animated series. 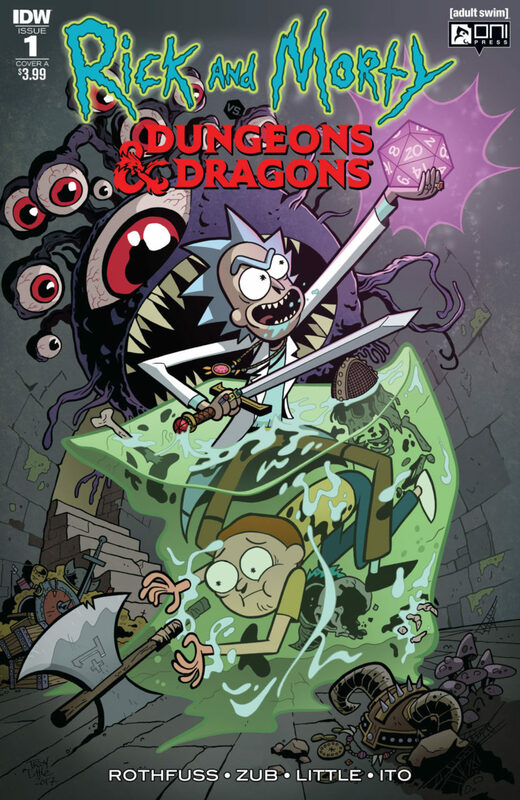 Rick and Morty vs Dungeons & Dragons has something to offer that would please fans of both franchises as a decent synthesis of these two worlds. 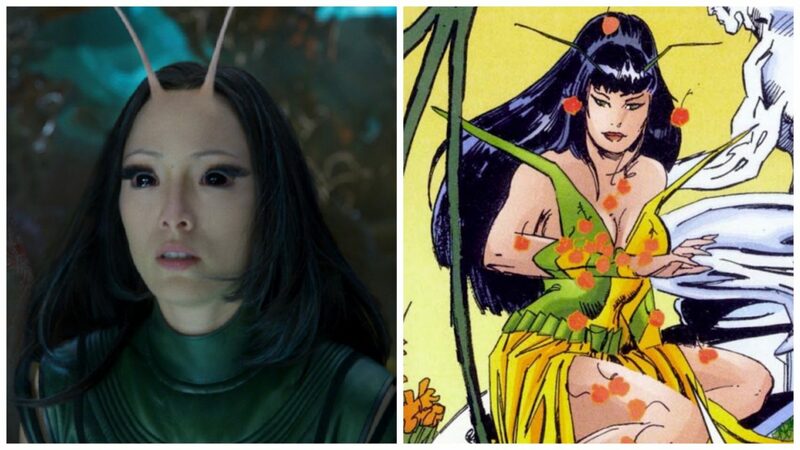 The miniseries was evidently created with a lot of heart by fans for fans. 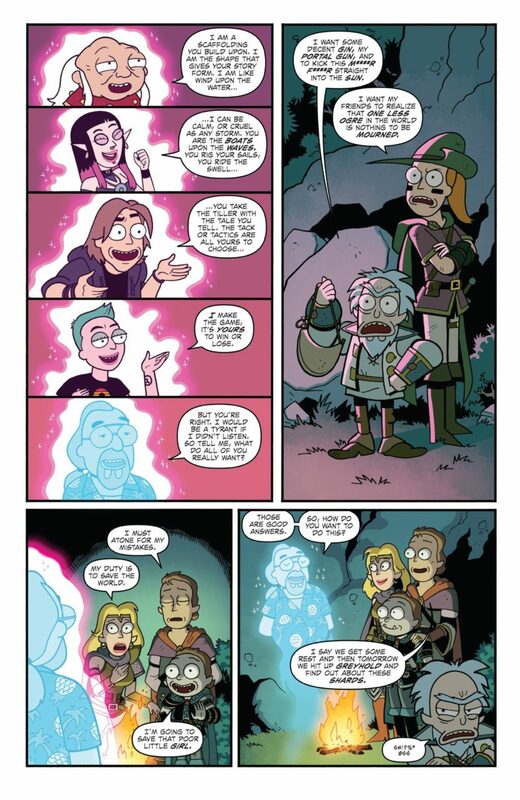 For instance, this page features appearances by people who are well noted in the D&D’s scene: (from top panel to bottom) the Dungeon Master from the Marvel-produced 1980s animated series, Satine Phoenix, Matthew Mercer, Mazz, and the late Gary Gygax.